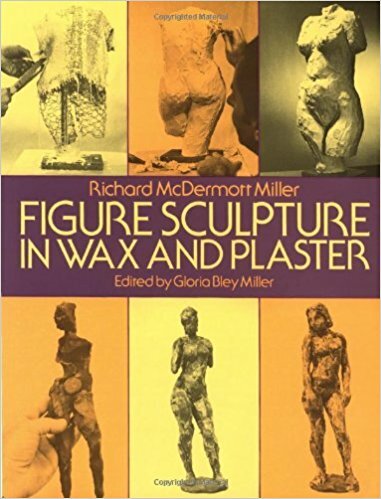 In this splendidly detailed, generously illustrated text, the well-known American sculptor Richard McDermott Miller introduces the art of modeling the human figure in two media known for their liveliness and spontaneity. Recognizing the needs of the beginner as well as the interests of the professional artist, the book masterfully puts you quickly in possession of the basic procedures you'll need to get started, provides specific details on materials and tools, and launches you into actual projects specifically designed to teach you sculptural skills. The book first analyzes the human figure and describes the way the sculptor translates the figure into the modeled form: finding a personal style; working from photographs or memory; working from life; and capturing gesture, proportion and anatomy. Mr. Miller then describes, step by step, how to work with wax, how to sketch a small figure in wax, how to model the figure on a wax armature, and the process of hollow wax modeling. He follows the same procedure as he introduces working with plaster, from mixing it to modeling a hollow torso. Many other important topics, from mold-making techniques to working with models to finding out where and how to buy materials and tools, are presented. Throughout, Mr. Miller emphasizes the practice, rather than the theory of sculpture, emphasizing that, apart from the artist's need for personal expression, sculpture is a physical task involving the manipulation of materials. His concentration on the sculptor's working problems makes this an unusually useful and valuable guide to sculpting the human figure.